Kiran Makarla is Principal Product Marketing Manager at BlazeMeter. He has been in business technology for the past 15+ yrs. and played multiple roles as a lead engineer, functional architect and product technical marketing manager. In his last role as product marketing manager at Hewlett Packard Enterprise’s IT operations management business unit, he helped build, develop, evangelize and demonstrate the cloud & automation solutions. As agile software development, continuous integration and continuous delivery gain traction in many organizations, the democratization of performance testing is being widely adopted. This is leading to more testing and far greater coverage. 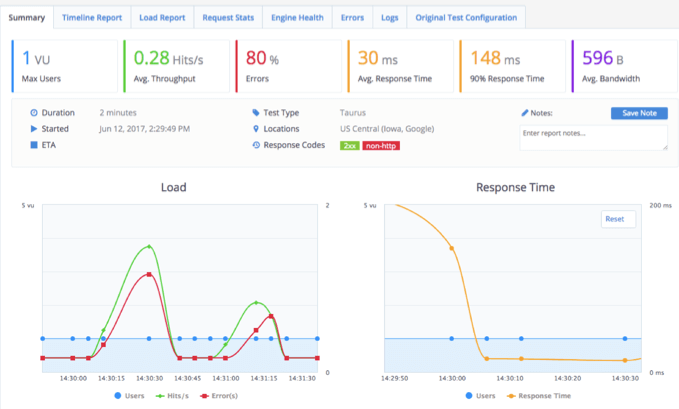 Development teams are relying less on waiting for scarce external load testing resources. Instead, they are performance testing by using open-source easy-to-use Apache JMeter™, and using it early in the development cycle. For a long time, HP LoadRunner was the only serious contender in the performance testing market and they could charge high annual license & maintenance fees. 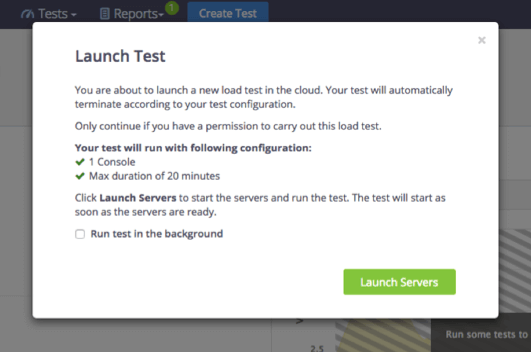 Besides the cost of the software itself, running large scale performance tests with LoadRunner is no easy feat. LoadRunner’s meticulous test building and a long training process make load testing difficult. Especially compared to JMeter’s simple test building process that is easy to adopt by practitioners and advanced load testing abilities. JMeter users also enjoy extensive open-source community support as well as integration with additional open-source tools, like Jenkins for Continuous Integration, or Taurus, an open-source testing automation framework. Finally, JMeter is free, which removes licensing barriers and makes it unlimited. 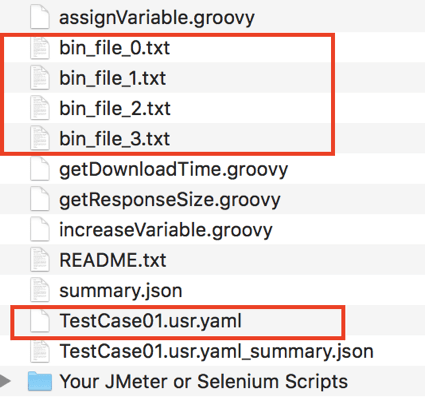 The free Script Converter can convert LoadRunner HTTP to JMeter and LoadRunner TruClient to Selenium in minimum time. You can also convert to Taurus and BlazeMeter. 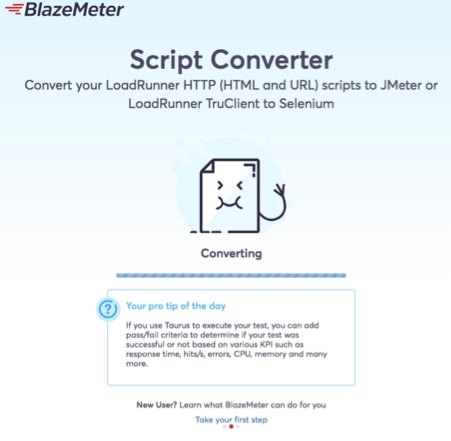 In this blog post we will explain how to convert your LoadRunner HTTP scripts to JMeter, Taurus and BlazeMeter. To learn how to convert to Selenium, click here. Want to see a demo of this converter tool? Check out the recording of the webinar we held, Moving from LoadRunner to Open Source Testing Tools - Script Conversion & Test Automation. 4. 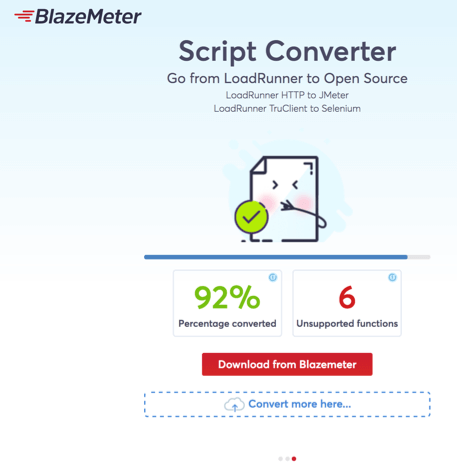 Once the script conversion is complete, click on “Download from BlazeMeter”. If you need to, sign up to BlazeMeter for free. 6. 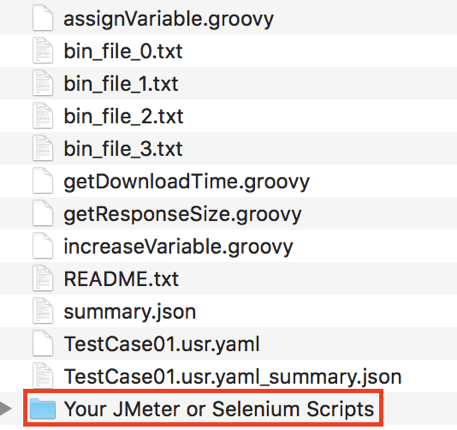 Open the downloaded file and open the folder named “Your JMeter or Selenium Scripts”. 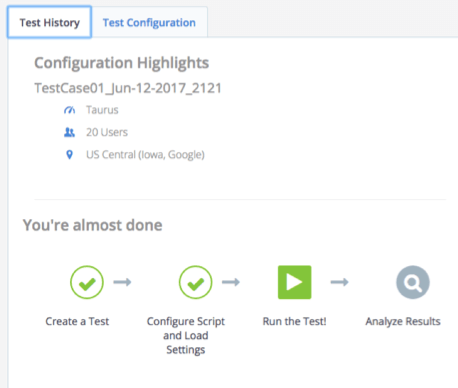 To convert to Taurus, follow steps 1-5 from the JMeter conversion section. 5. You can configure your tests by downloading the ZIP file. 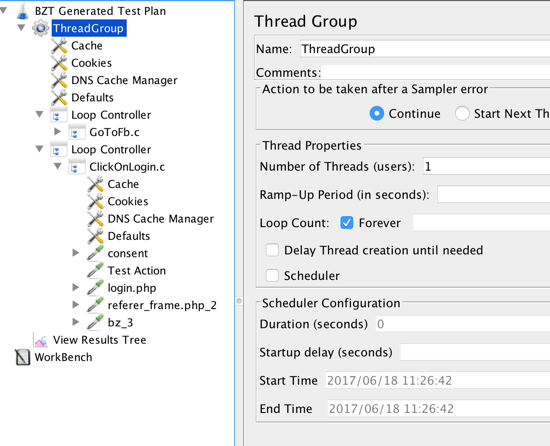 The “Test History” tab shows details such as which test execution engine is used, number of concurrent users and the GEO location from where the tests are executed. Want to see a live demo of this converter tool? Join us for the upcoming webinar, Moving from LoadRunner to Open Source Testing Tools - Script Conversion & Test Automation, on Wednesday June 28. 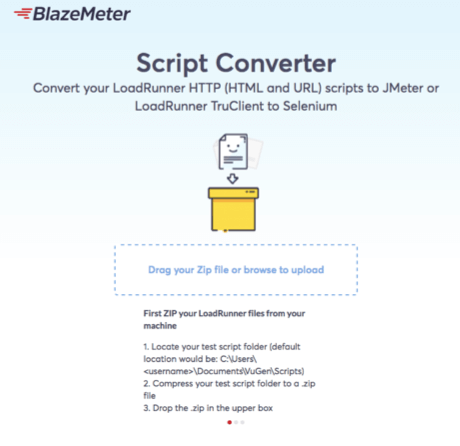 BlazeMeter also offers free LoadRunner to JMeter and open-source script consultancy services. Click to learn more.